Hacking is not always a bad thing. Other than illegally infiltrating computers to gain unauthorized access to data, hacking also means thinking outside the box to use what you already know in a more efficient and cost-effective way. “Hi, this is Daniella from Daniella.io. A while back I contributed two articles to Ecwid’s blog that included a total of 10 incredible Ecwid hacks. 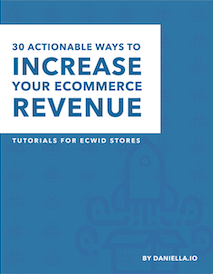 They are pretty much just smart ways you can use Ecwid to increase your revenue. If you would like the detail on how to carry out any of these tips, check out the articles on Ecwid’s blog in the links in the description below. 1. Build a Marketplace Like eBay: Want to create a marketplace like eBay, Kijiji, Amazon or AirBnB where your sellers can have their own store on your platform? Ecwid is a great place to create a MVP or minimum viable product to test your ideas. 2. Allow your Clients to Book your Services Online: You can allow your clients to book your services online. Ecwid can be an easy to setup option for DJ’s, caterers, babysitters, hairdressers, and gardening services among many many others. 3. Accept Online Room Reservations: Bed and breakfasts, motels, companies, and anyone who wants to rent out spare space can easily use Ecwid to accept reservations. 4. Think Outside the Box when Selling Intangible Goods: You may have noticed you can sell downloadable goods with the paid version of Ecwid. Why not use this awesome feature to sell more than just e-books! You could sell icons, photos, templates, or your own music etc. 5. Sell Customizable Goods: Suppose you have a product that can be customized and you want to streamline the choice process for your client. Did you know Ecwid can do this? I have a client who spent hours searching for a free solution that would combine some sort of survey and payment method. 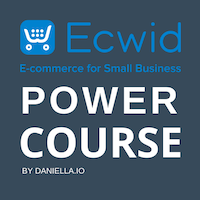 From PayPal buttons to solutions that cost more than $250 a month, nothing tickled his fancy until I introduced him to Ecwid. 6. Create a Complete Website for Free: If you do not use Ecwid yet, you may not know that you can use it as a Free website. You can edit your website by adding a cover photo, your unique value proposition, a call to action, an about us and testimonial section. You can also add your contact info and social media links. 7. Combine a Survey and Payment Method: Just like there are a number of high-priced online booking solutions floating around online, there are also a handful of paid apps that combine surveys and payment methods. But why pay a high monthly fee when you can do it for free directly in your Ecwid store? They can be great to receive feedback combined with payments, contributions, tithes, funding, donations, etc. 8. Know if Your Competition is Snooping Around Your Store: Fun fact: did you know there is a way to find out if your competition is snooping around your Ecwid store? Check out the articles in the description to learn how. 9. 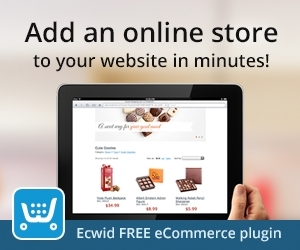 Use Ecwid as a Catalog: What if you could use your Ecwid store as a Pinterest-style showcase? This tip may be useful for artists or startups wishing to validate interest before launching a product. 10. Generate More Sales with the Unfinished Sales Feature: Unfinished sales are orders that were started by customers but never paid for. Some stores have thousands of unpaid Dollars just sitting in their Ecwid account. Fulfilling those unfinished sales makes it worth upgrading to a Venture plan to do so.